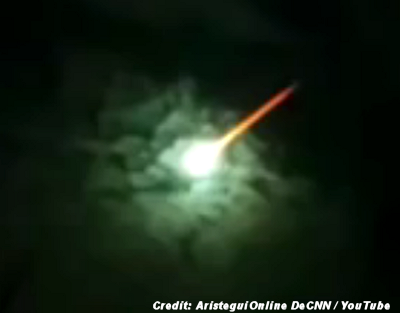 A massive fireball soared through the sky over Argentina, triggering a wave of social media posts. The mesmerizing show, which lasted just a few seconds, colored the sky green. The bright object could be clearly seen from Argentina’s capital of Buenos Aires. Other reports of the dazzling display came in from Brazil’s southern state of Rio Grande do Sul, as well as neighboring Uruguay. . . .